Thanks, I try really hard to keep them nice, I'm rather rough on my hands, haha. Already following! Very pretty! 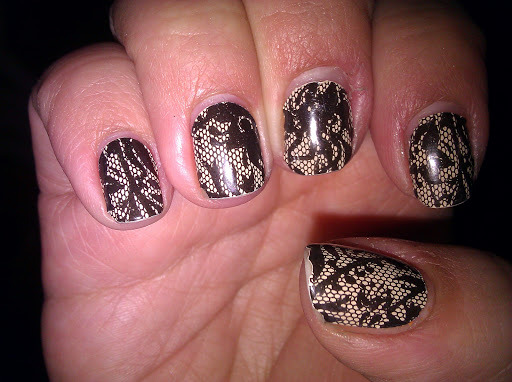 I love lace! 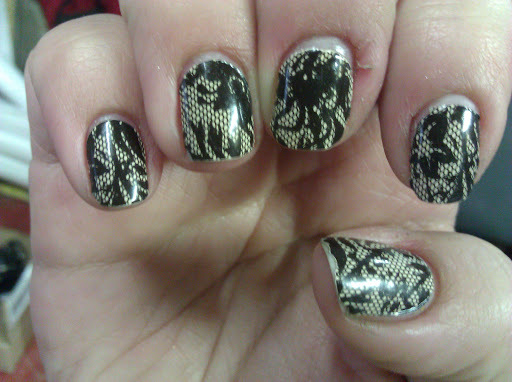 I've tried the KISS nail dresses but not the Sally Hansen strips yet. Thanks for joining in my Brightside Beauty blog hop, I am now following back. Be sure to come back every Friday to share your blog. Thanks, I will definitely make sure to come back! I'm kinda curious about the KISS nail dress, did they last? Glad to see your nail strips held up during the week away... I'm so impressed with the wear time on these. So am I, I couldn't believe it.